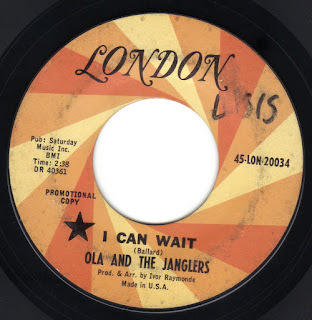 Sweden's Ola & The Janglers had a staggering 14 singles released in their home country before someone in the United States decided to finally put one of their records out here. London records issued "I Can Wait" b/w" Eeny Meeny Miney Moe" in November 1967, just two months after it was issued in Sweden by Gazell (C-204). 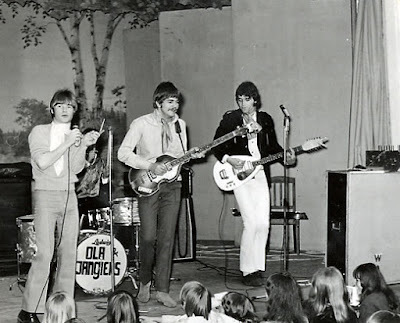 "I Can Wait" follows the slicker (ie "over produced") sound that the band were heading into in 1967, leaving behind the more quirky, off the wall sounds they had exhibited on their classic 1966 singles like "Alex Is The Man" or "Birds Eye View Of You". It was produced by Ivor Raymonde which leads me to believe it was recorded in the UK, possibly with session musicians. It has a full sound with brass, vibes and orchestration on top of their Beach Boys harmonies, fuzz guitar and thundering drums, it's a decent slick pop tune not unlike Los Bravos UK recordings at the same time. "Eeny Meeny Miney Moe" is a dreadful disposable pop song that sounds like a throwaway Bickerton/Waddington pop psych B-side, it's also a sample of the direction the band would soon by sliding towards in the following months, but that's a story for another post. 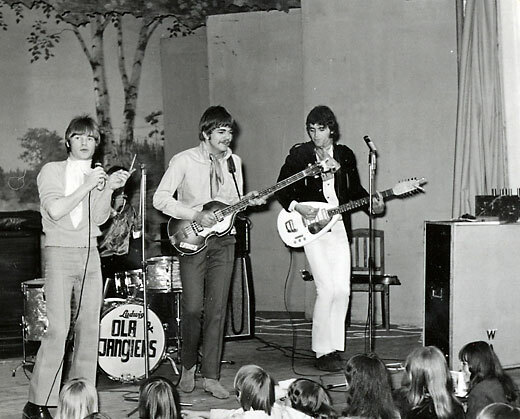 Both tracks were collected on a Swedish two CD reissue of an 80's Ola & The Janglers LP collection titled "1964-1971! ".